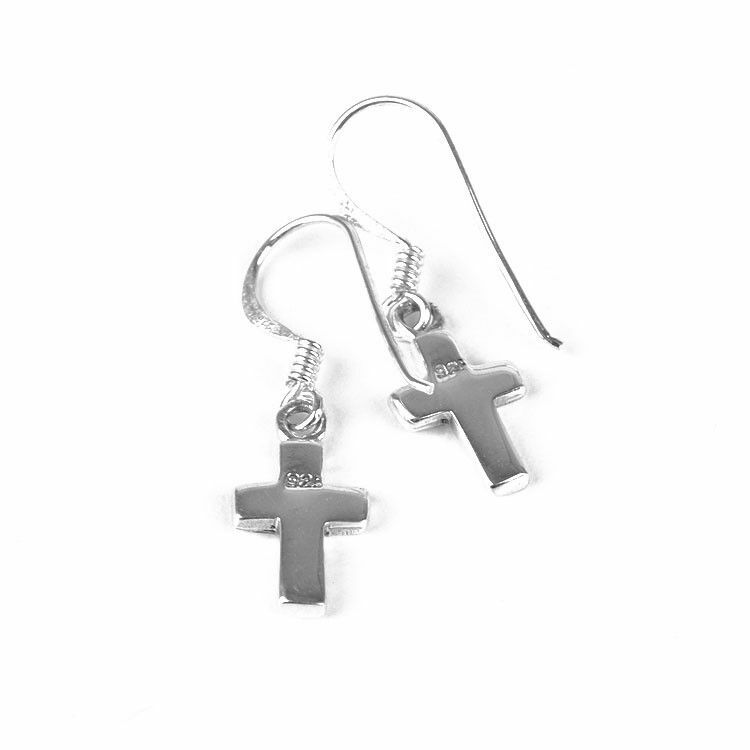 These cross earrings are a tiny yet beautiful way to show your love of religion. 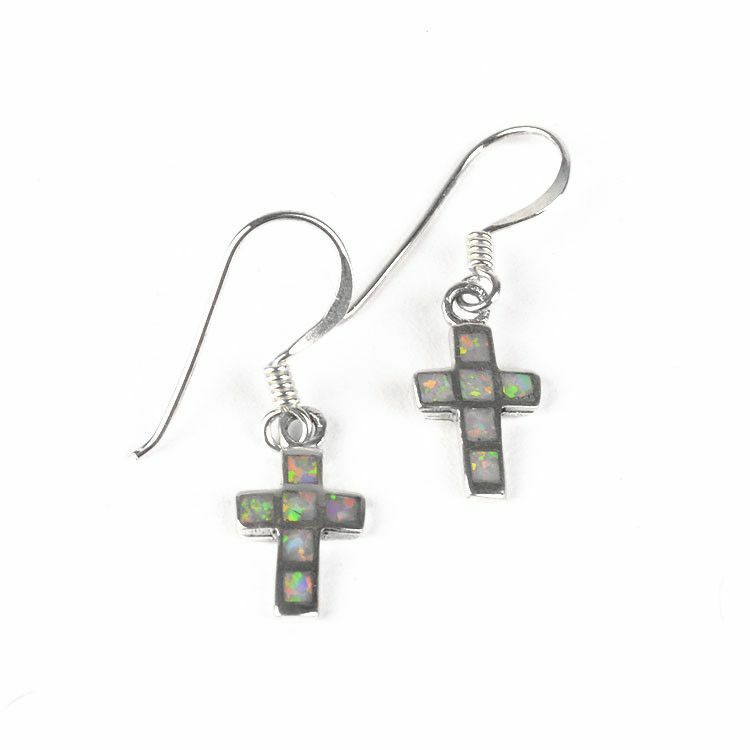 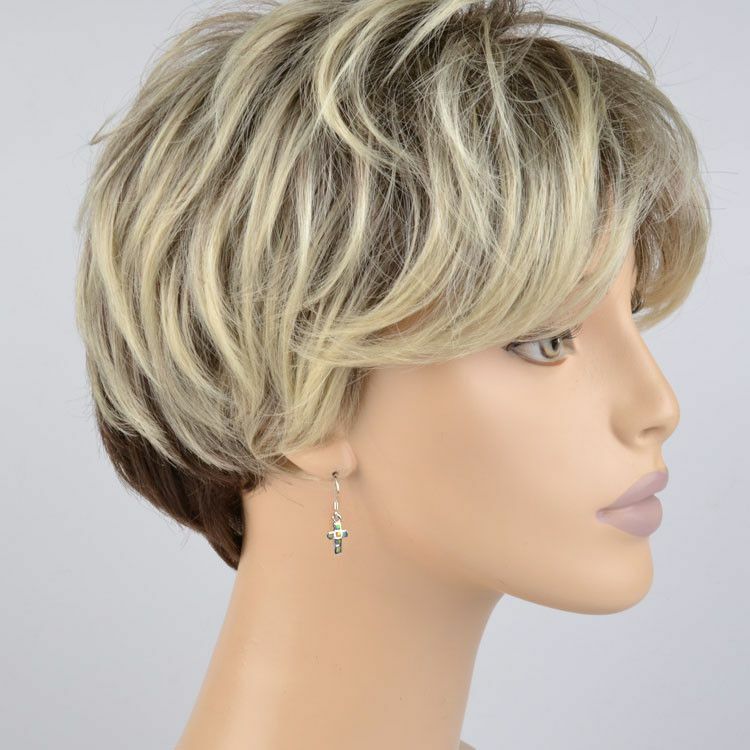 The 1" long earrings have a simple hook and a small cross that is about 1/2" long and 1/4" wide. 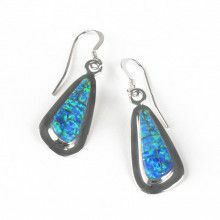 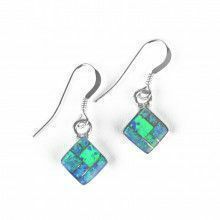 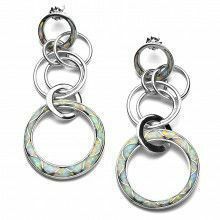 Created opal in pastel colors inlaid into sterling silver.